It's that time of year when I start thinking about what to give my children's wonderful teachers for Christmas. We had parent teacher conferences this week, and I was reminded how much I appreciate these angels who are so patient and kind to my children. 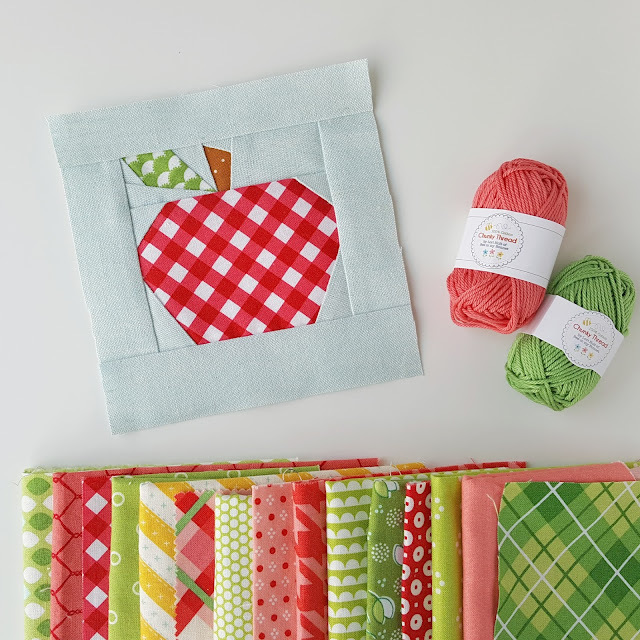 I really like this free paper pieced apple block. I printed off the pattern at 50% (the original is 6" and I wanted it smaller), and went scrap diving for some appley colored fabrics. Depending on specifics, I might try to incorporate one little apple into this cute new pouch pattern by Knotted Thread. My paper copy of the new Cove Clutch should be coming any day! 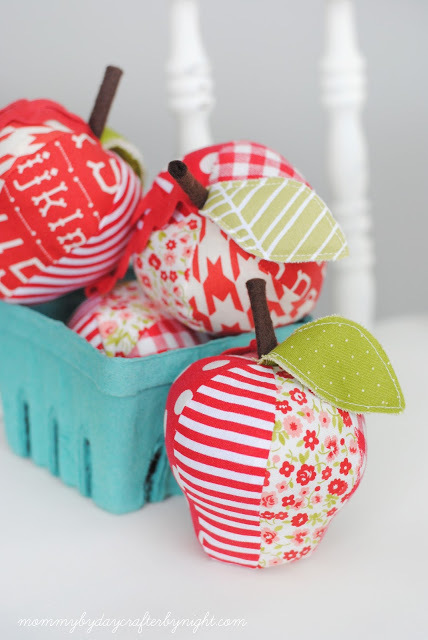 The apple pattern was very simple. This was my 3rd time doing foundation paper piecing, and the first time I didn't have to look up how to do it to remind myself! I used some beautiful light blue linen that I got from Cottoneer. It looks like she's out of this color at the moment, but all the linens are on sale until Friday! 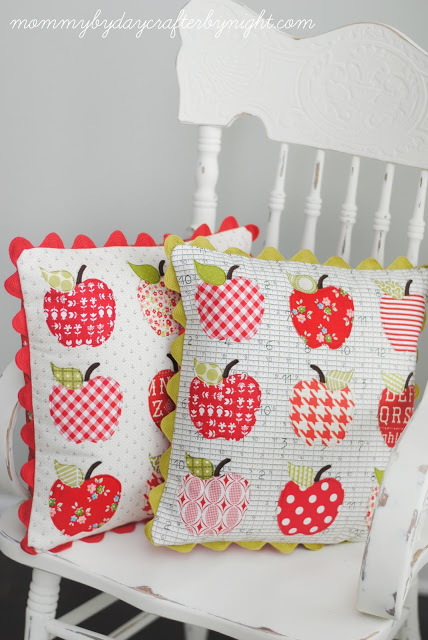 I love these apple pillows that Ashley of Mommy by Day Crafter by Night made. Everything she makes is adorable! Ashley also made some really sweet stuffed apples for librarians and other special school staff. 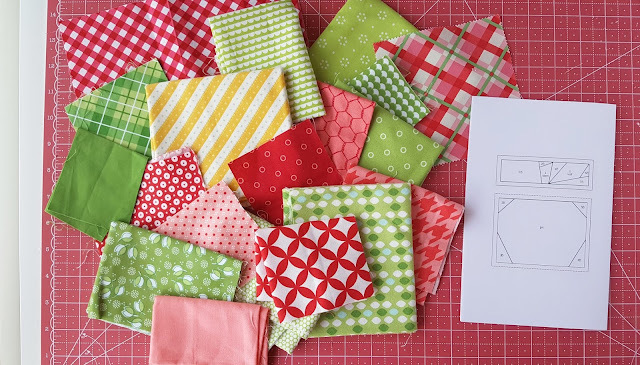 The pattern by Retro Mama is meant to be pincushions, but it would be a cute little doodad for their desk, or even a Christmas ornament. If free time grew on trees like apples and could be plucked off by the bucketloads (!) 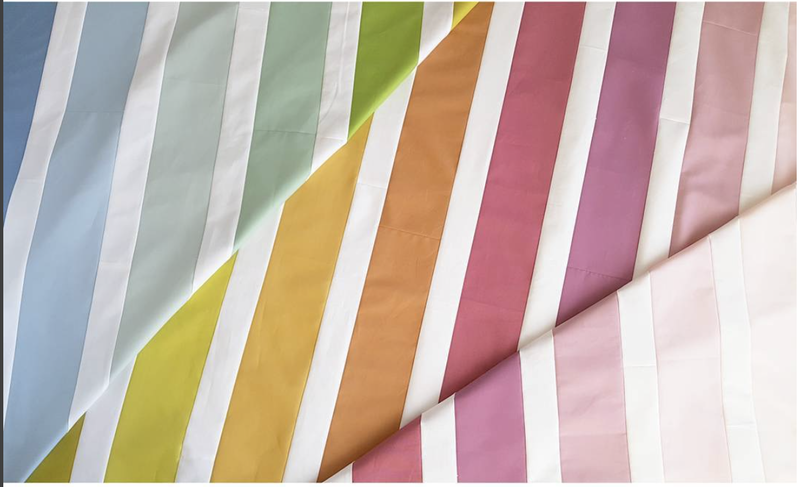 I would make them each a rainbow quilt like this one. It's a super easy, free pattern! I'd love to make another quilt just like this one, but with a brighter rainbow this time. Something like these solids with Swiss Dots that I've been gazing at on my desk for the past few weeks. 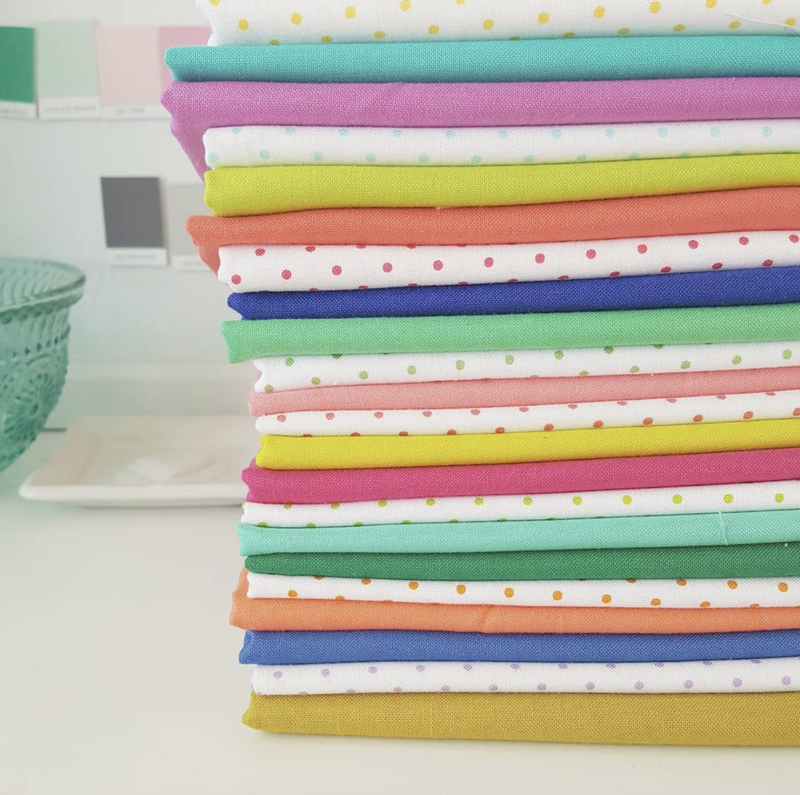 It is such a cheerful stack! Last year I was really sick with first trimester pregnancy and had absolutely no energy or motivation, so I kept it simple as can be. 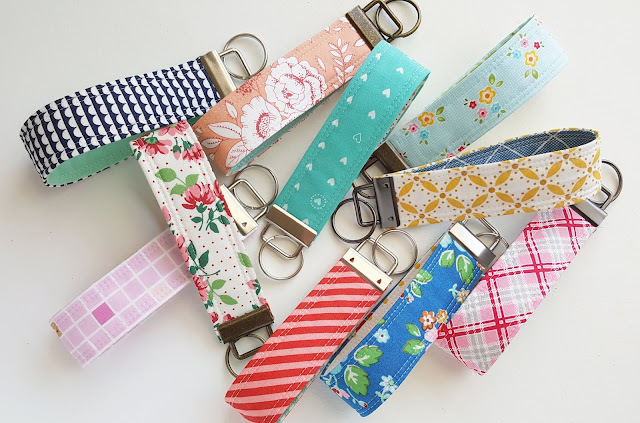 I made these key fobs, tied one to a treat baggie with pretty ribbon. Add a gift card to the mix if you want, and any teacher would be thrilled. 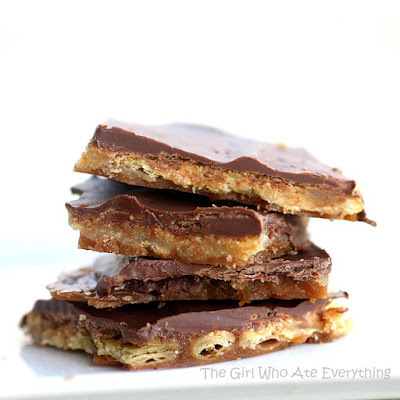 Here's the recipe for the Saltine Toffee I put in the treat bags. Don't knock it until you've tried it, this stuff is completely delicious, and SO easy to make! 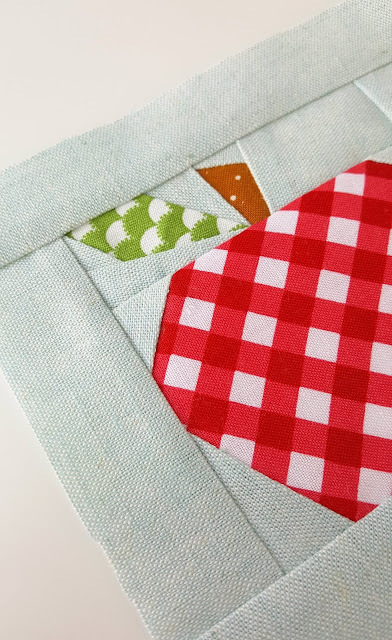 The last idea that I would absolutely love to make if time allowed would be a quilt with their name in a banner on it. Something like this alphabet pattern, worked into banner flags like in Celebrate by Cluck Cluck Sew, but in a different layout. I'd put the flags a little close together and all in a line to spell "Mrs. So and So". Tell me you can imagine the cuteness! Maybe some flower blocks along the bottom? Oh it would be fun. Anyway, best of luck to you as you try to show you love and appreciation for these wonderful teachers through gifts. At the end of the day, a heartfelt note from you or your child would go a long way I'm sure. 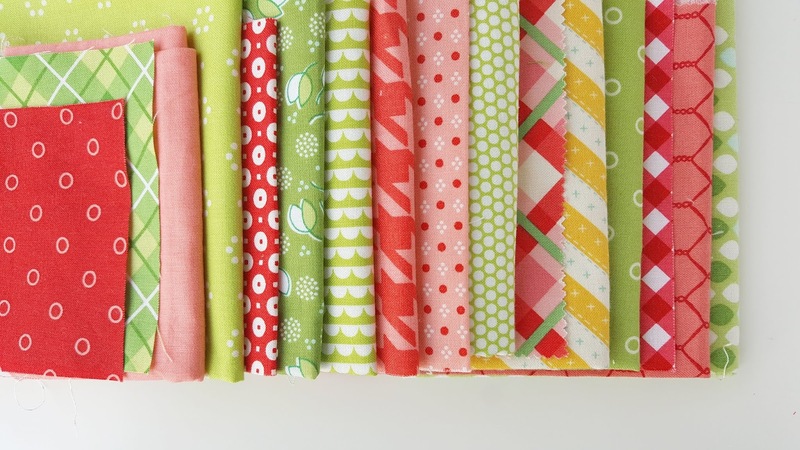 Honestly, as a teacher turned SAHM, I usually find teacher gift idea lists highly groan-worthy. The ideas tend to be the sort of thing you wouldn't consider gifting a professional in any other field, or a hairdresser, restaurant server, or anybody else you want to appreciate for that matter. "My child picked this bag with ever so many sequins just for you," says the parent as you contemplate how heartbroken little Tommy will be if you aren't brandishing the bag on a daily basis, and in turn being the flashiest thing to hit the teacher's lounge. Though maybe all the staff would be driven away by the very potent fragranced body lotions anyway---a favorite among gifters. Then we have the cookies that Jenny helped with; Jenny would be the one with her finger stuck up her nose to the knuckle. There's the #1 Teacher plaques. Except you'll be giving one to next year's teacher too, so who's the favorite really? There can be only one, ;like the Lord of the Rings precious ring. Your ideas, however, are ones that would make a teacher have a soft spot for your kid even if he/he was the naughtiest little stinker ever. I try to get our boys' teachers something I think they'll actually like (expensive skincare/perfume), but as of last year, I've started writing them an email telling them I would rather get them something they'd actually like than something they'd hate, and have them list stores from where they'd want gift cards. I make handmade stockings for their classrooms every year, along with handmade "other stuff" throughout the year (these pillows will ABSOLUTELY be on my list this year). Teachers are asked to give too much without equal reward, and although I know these little trinkets don't offset any of that, I want them to know how much they're appreciated by this household.